In a world where an everyday dress can cost anywhere from hundreds to thousands, it’s always refreshing to find one (or a few) that you love without the jaw-dropping price tag—at least we feel that way. That’s why we’re sure our like-minded readers will appreciate today’s roundup of under-$40 autumn-ready dresses that you can wear all season (and next). Not just that, but they also happen to go perfectly with everyone's favorite fall footwear: ankle boots. 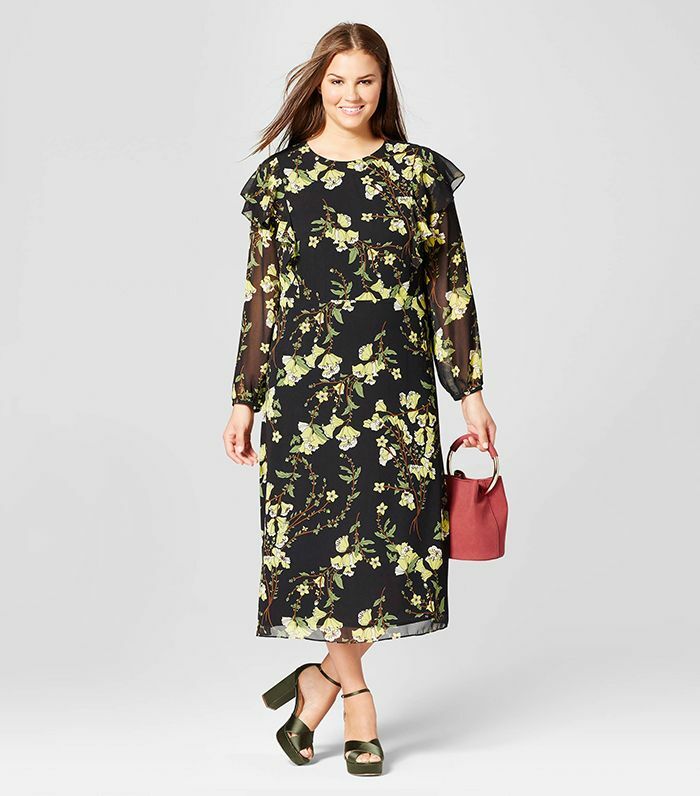 From simple yet effective LBDs to bold florals (like the one above) that will get you all the compliments, we’ve got something for everyone, thanks to our very own Who What Wear collection. Shop our favorite midi dresses from the collection below, and then continue to shop a few affordable boots, too. As you saw in this story's cover photo, this one is a showstopper. Tie details aren't just eye-catching, they're flattering too. We are obsessed with this print. Every girl needs a shirtdress (or two). We love the idea of wearing this mini with heeled boots. Wear this to work or on the weekend. Smocking is our favorite flattering trend of the moment. Style this with white boots for maximum impact. We love this for a night out. You'll wear this LBD for seasons to come. Flat ankle boots are all this minidress needs. What would you like to see us design next? Tell us in the comments, and you just might inspire our next collection. After that, shop our full fall line, including tops, bags, skirts, shoes, and more.